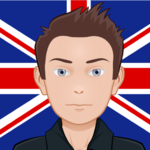 Top UK video maker and Top Cert PPHer with over 1300 PPH video sales - Check out my profile feedback! All my videos are created by me here in the UK with no overseas outsourcing so you can rest assured I will produce something perfect for YOUR business and you will not experience any copyright or licencing issues later! These engaging videos are suitable for most B2B and B2C niches including accountants, IT services (not really for App or How-it-works videos - please see my Explainer video Offer for these), marketing, property services, vets, medical, nurseries, health & fitness, local tradesmen etc. Perfect for websites, Youtube, social media pages, Email marketing, training, E-learning, etc. * Black / white (for colour see Add-ons below) outline style digital whiteboard video with a maximum of 100 words (approx 45 seconds of video). - You must supply the text. If you need help with your text please contact me before placing any order. * Illustrations chosen by me to compliment your script in the style/standard of those shown above. If you need custom/specific drawings or if you want me to work to your own storyboard or visual ideas please ask for a Custom quote. * 1 Free UK male or female voice-over (You must supply the script). * Final video supplied in full HD 1920 x 1080 mp4 format and of course without my watermark! * Male or female hand to match voice-over. * FREE logo revealler intro or outro. If you have any other requirements eg: custom or specific images, colour images, extra revisions, longer videos, other formats, faster delivery, scriptwriting, etc.. please message me BEFORE ordering to check feasibility/price. PLEASE NOTE: Due to recent communication issues this Offer is currently only available to buyers located in the UK. Sorry! I am happy to do 1 free revision to the video (excludes the free voice-over audio, once recorded) but please get back to me within 3 days of receiving your video. Any other questions, please ask BEFORE ordering. All contact must be via PPH. Your final script in English without drawing directions, together with pronunciation instructions for any unusual names or acronyms. Just a guideline or link to your website or brochure is NOT acceptable. Your logo. In high res transparent png or vector format please. Please ensure you have all the above ready BEFORE you place any order. Thank you. Amazing job, great value and very professional, thank you! Another good whiteboard animation - delivered to the brief.